As we discuss topics to make your lawn as beautiful as possible, perimeter pest control service is an issue that inevitably pops up. 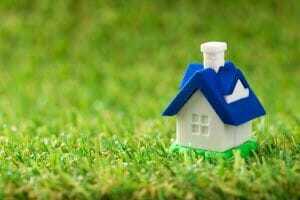 After all, the right pest control ensures you can comfortably enjoy your gorgeous green grass. Fortunately, the perimeter pest control process is simple – our technicians make quarterly visits to apply a chemical barrier around your home’s perimeter. It can deter bugs from entering your home, and it can also keep many pests away from your yard. Don’t store firewood next to your home. Stack it several feet away from the house to deter termites and other bugs from taking up residence. Eliminate standing water, which can be found in empty containers, tires, stagnant ponds, bird feeders, etc. Getting rid of standing water also means getting rid of mosquito larvae. Trim shrubs and bushes back away from your home, and clear away leaves and other debris that accumulate along the foundation. This makes it more difficult for insects to access the house. Furthermore, if you have mulch lying up against the house, consider replacing it with gravel. Most bugs prefer wood to rocks, so making your perimeter less hospitable will drive insects away to more welcoming locations. In addition, eliminate tree stumps and dead plants. These things will only attract more bugs, underground and above, as they decay. Just in case any insects make it through the pest control barrier, repair holes in screens and replace old weather stripping around doors and windows. Plus, seal any cracks in your home’s foundation with caulk. Make sure that your garbage and recycling cans have lids that fit tightly. 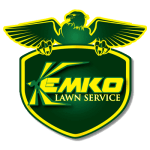 Kemko Lawn & Shrub knows how much your lush lawn and beautiful landscaping mean to you. We also know that you want to enjoy your outdoor space in peace and comfort, free of annoying bugs. After all, achieving an impressive lawn takes a tremendous amount of effort. The fertilizing, watering, aeration, dethatching, mowing, trimming, and overseeding is worthless if the mosquitoes, flies or other creep crawlies chase you away. You don’t have to put up with that! Adding quarterly perimeter pest control service to your lawn care program is as easy as a few clicks of the mouse. We will replace dead trees, trim your shrubs, and apply a perimeter pest control product at your home. Simply request a free estimate for perimeter pest control service from Kemko, the company you already trust for your lawn care and maintenance needs.